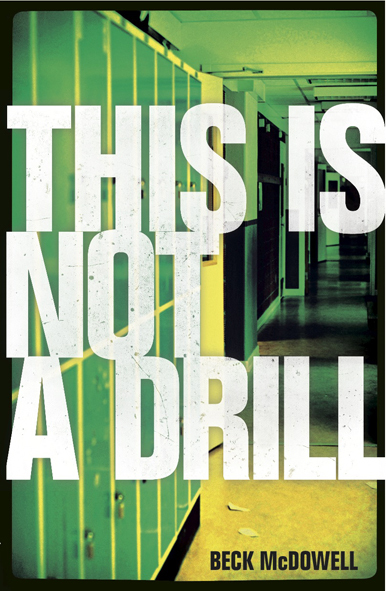 Today on My Best Friends Are Books I have Beck McDowell, author of the fantastic new book, This is Not a Drill, joining me on her blog tour to celebrate the release of her book. The story revolves around a hostage situation in a school in America, with a father who has recently returned from the war in Afghanistan. It’s a very powerful story and you can read my review here on the blog. I got the chance to ask Beck a few questions about the story and her characters. Why did you decide to tell the story from Jake and Emery’s point of view? At first I wanted the alternating viewpoints because part of the conflict was the recent break-up of the two main characters, and I wanted readers to hear both sides of that story. Also, I knew that they’d each bring a different perspective to the problem and a different take on possible solutions. Mrs Campbell stays very calm and does her best to keep things normal for her students. Is the character of Mrs Campbell based on a teacher you know? Mrs. Campbell is based on MANY teachers I’ve known. It’s rather amazing – given the lack of resources, the huge overload of work, and the gigantic (and growing) class sizes teachers face that they’re able to stay calm and tune in to students’ needs in every situation that arises. But I’ve seen hundreds of them in my career step up in difficult circumstance and put kids first day after day. You were a middle and high school teacher for many years. In all your years as a teacher, what was the most important lesson that your students taught you? Wow! What a good question – and a hard one! I can’t narrow it down to one lesson, but I can give you a few: not to underestimate anyone, that there’s hardly ever one right answer, that secrets can cause big problems when they’re locked inside, that brave teens are quietly dealing with huge life issues most people don’t know about, that many students just need someone to talk things over with, that things will get better if you just hang on through the tough times, and that the best way of healing yourself is reaching out to others. A lot of these lessons are incorporated into THIS IS NOT A DRILL. Honestly, I get really emotional when I think about how much my students meant to me through the years. They enriched my life beyond my ability to describe. Mr Stutts is a soldier recently back from Iraq. Did you talk to soldiers about their experiences before you wrote the story? Absolutely. Through the years I talked with many students who were home from military duty. And then several were kind enough to give me more detail about military life and to answer my questions while writing the book. Emery tells Jake ‘I know he’s become a monster…but he’s also a wounded soldier, and I can’t forget that.’ Was it difficult to to get the right mix of monster and wounded soldier in the character of Mr Stutts? SO difficult! He’s in the middle of this truly horrific act – holding a first grade classroom hostage – and yet he’s suffering real psychological wounds from a war he fought for his country. And if you get right down to it, he’s as scared as the kids are – scared of losing his wife, his child, his career, his reputation – he’s losing everything. So I think it’s okay for the reader to condemn his actions but have sympathy for him as a person. The events of the story are emotionally draining for both the characters and the reader. Did you find it quite emotionally draining to write? Yes, especially – of course – the ending. But sometimes a story is too important to walk away from because you know it will be hard to write. It’s one reason for the funny bits with the first graders – comic relief. I think readers will agree with me that life is a big old mixed up jumble of emotions. Even on the saddest days there can be funny moments, and happy events can be tinged with undercurrents of sadness – maybe for the people we’ve lost who aren’t with us to enjoy them. After our earthquakes, parents and teachers of children in Christchurch are very aware of how trauma affects children. 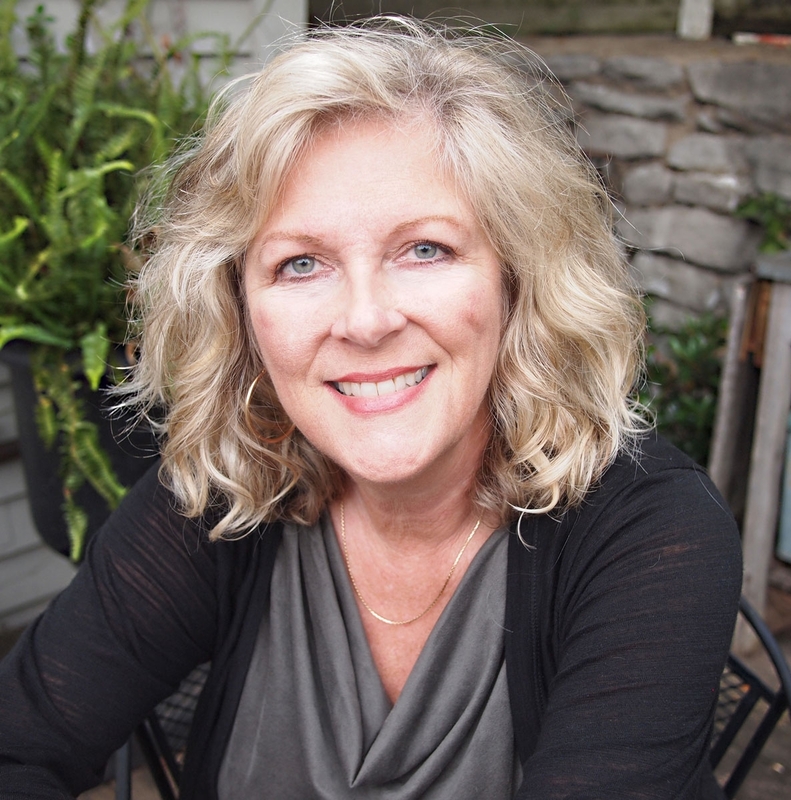 How did you make sure the effects of trauma on the students in the story were authentic? First, I’m so sorry for what you’ve been through there. The news stories and pictures were so sad, and the ones with kids always tug at my heart the most. I did a lot of research on stress and grief and on first graders in general, but most of that knowledge comes from personal experience with kids. Since we live in an area prone to tornadoes, I’ve taught students who’ve lost homes, parents, siblings, and everything they own. Many have come to school still in shock the next day after entire neighborhoods were wiped out – as was the case in 1989. The kids in my story were younger than the ones I’ve taught, but I think the fall-out from traumatic events affect us in similar ways, no matter how old we are. Relationships are an important factor in the story, whether it’s between Emery and Jake, Mrs Campbell and her students, or most importantly, Mr Stutts and Patrick. What advice can you give to aspiring writers about creating realistic relationships in stories? You really walk a fine line as a writer between giving relationship backstory and keeping the plot moving forward. There will be readers who feel the backstory of Jake and Emery interrupts the flow of the action, but – to me – the details about their past were necessary to give depth to them and their relationship – and also to give the reader a break from the tension of the story. As you said, it’s very emotional throughout, and I felt those passages gave the reader a chance to slow down and regroup just a little bit. I’ve always been fascinated by the dynamics of relationships of all kinds, so they’ll always be a big part of anything I write. In the end life is all about human connections. The relationships we have with others ultimately trump any worldly accomplishments or professional success we achieve. As I’m sure you’ll agree in the aftermath of the earthquakes there, family and friends are what life’s all about.